The usage of mobile devices such as smartphones, notepads and tablets has increased exponentially due to demand for handheld devices and faster internet connections for mobile platforms. Users prefer these devices as they are small enough to use as a mobile phone but the screen size is big enough to browse the internet. All businesses need to have a mobile-friendly website to which users would automatically be redirected to if such a device is detected. If you are serving your normal full-size website on these devices then you are turning away customers who are unable to effectively view your website. Increase in sales: It is a known fact that businesses with both, a main website and mobile website, have a higher number of visitors and therefore take the opportunity of selling more. Smartphone users are wealthier: A smartphone user coming to your website has more spending power and therefore you need to appeal to these kinds of customers by serving a website that is optimised to work on their smartphone. Competitive Advantage: Businesses with a mobile-friendly website have an upper hand over their competitors who may not have a mobile website. 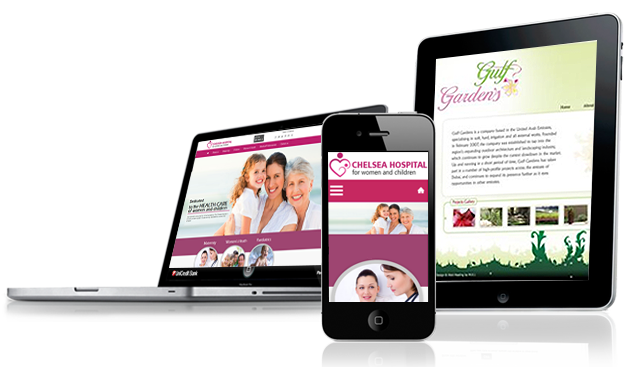 You would be losing out to a competitor if your website does not work effectively on a mobile device. When mobile users land on a website that is all distorted, they quickly exit and make a mental note never to return. Mobile Penetration: An increasing number of people are using their mobile devices to access the Internet. In fact, more than 40% of the world’s population uses their mobile devices to perform a search on the internet. Reputation: When mobile users land on a website that is distorted or difficult to use, they quickly exit and will remember not to visit your website again as it does not serve their need. Compatibility: We code websites in such a way that they automatically serve the right website depending on which device is being used. On a computer the normal website would be shown but if a mobile device is being used then it will automatically redirect to a compatible mobile version of your website. You can allow customers to complete transactions using their mobile phone, for example, buying a product or checking in for a flight.